Is tomorrow really Valentine's Day already?!? 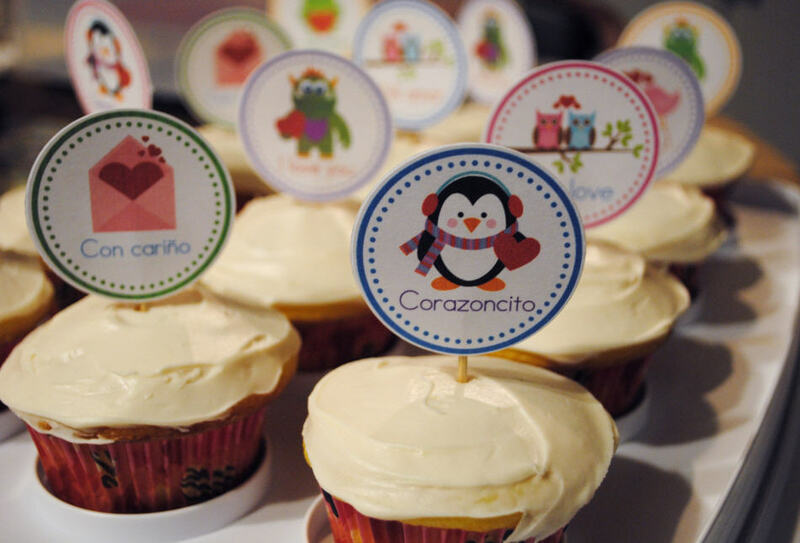 Well, we are feeling the love over here, so I want to spread the joy and share with you this free printable I created for making your own Bilingual Valentine's Mobile and Cupcake Toppers. 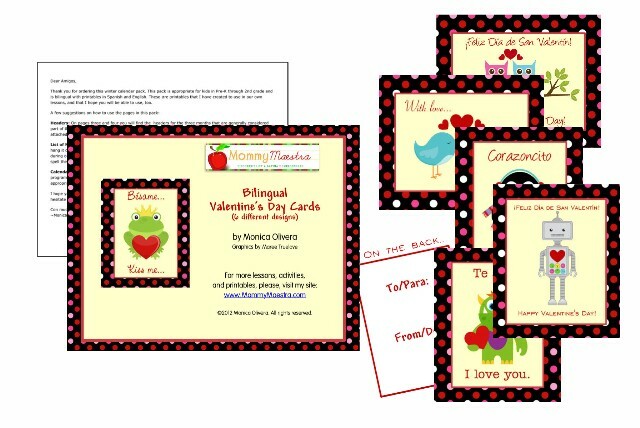 You can download them for free in my TpT store. 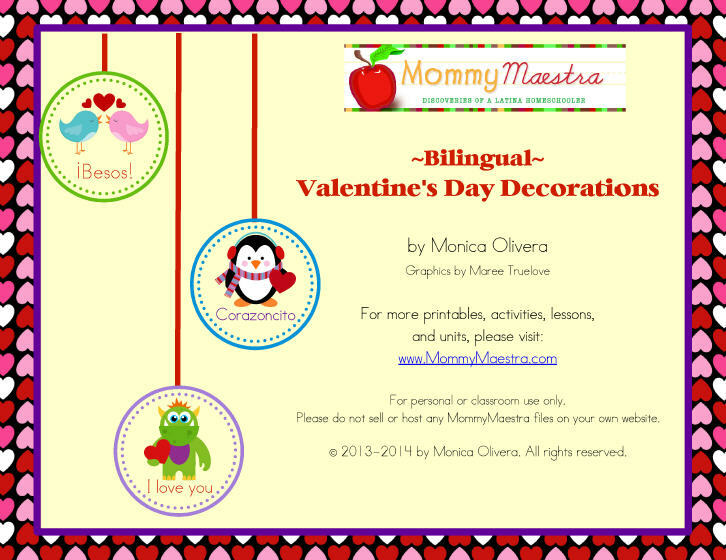 They are actually a sample of a bigger Bilingual Valentine's Decorations pack, if you are looking to jazz up your holiday decorations. 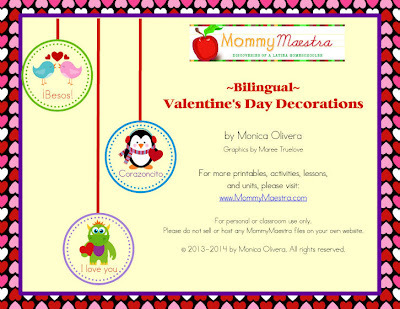 The pack includes a bilingual banner, napking & water bottle wrappers, and a set of Valentine's place cards. And if you're looking for last-minute bilingual Valentine's Day Cards, be sure to check out the ones I made last year. They are still super cute AND they're on SALE!